Lessons: Ravensdale Lodge Equestrian,Trekking and Event Centre is proud to be approved by A.I.R.E (Association of Irish Riding Establishments) and the B.H.S (British Horse Society). 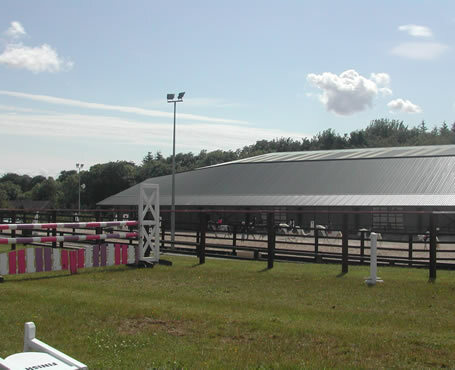 A.I.R.E & B.H.S approval is your guarantee that the riding centre meets all health and safety legislation, has qualified staff and safe animals, has insurance in place and operates to the highest standards within the industry. Ensure your safety and the safety of your children by choosing an approved horse - riding establishment. Ravensdale Lodge Equestrian, Trekking and Event Centre offers qualified tuition in all aspects of equitation, including showjumping, dressage and cross country. Happy riders, a safe environment and healthy horses are just a few of the things you will see when visiting Ravensdale Lodge. We strive to provide lessons in a relaxed and fun way while maintaining safety at all times and can accommodate all levels from beginner to advanced horse riding lessons. Our qualified, friendly staff and safe, reliable and happy team of Irish ponies, cobs & horses will ensure that you enjoy your time in the saddle to the fullest. Nominated for "Show of the year" in 2009 & 2010. Featured on "No Frontiers" in 2003 & 2010. Click on our "Offers" page to check out all our latest deals & discounts. Horse Riding Lessons may be arranged to suit all levels (beginner, intermediate, advanced) – please book in advance. We also run stable management classes and lectures covering all areas of horse care including supervised instruction in grooming, tacking up, horse handling, leading and lunging. For more details contact us. We organise summer pony camps and featured treks and riding days throughout the year for regular riders, as well as progressive riding tests for both children and adult riders. Please contact the centre for further information. ***New blog now live**New blog now live**New blog now live*** Check out all our forthcoming events, clinics, camps, special offers and discounts by clicking the "blog" icon. Both A.I.R.E and B.H.S approved, Ravensdale Lodge Equestrian,Trekking and Event centre offers an excellent standard of instruction. If aiming towards a B.H.S exam we can provide qualified instructor training in riding, horse care and stable management.Please contact us for further information. Why not treat someone special with a unique and memorable experience of horse riding! Gift vouchers available for any amount for trekking or riding lessons, whether an introductory horse riding experience or welcome addition to regular lessons.